Reclassifying – this little word turned Marvin Bagley III into one of the biggest CBB and draft headlines over the past few months. 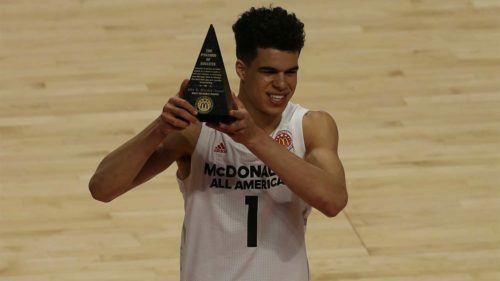 For years, the athletic forward was praised as the most talented high school player of the 2018 class and hyped up as the potential #1 pick in the 2019 NBA draft. This summer, however, he opted to skip his senior year to arrive on a college campus one year early. Bagley decided to decline interesting offers from his home state colleges USC and UCLA to join Coach K’s squad on the East Coast. With his commitment, Bagley immediately catapulted Duke to the preseason #1 spot. This was a clear sign of how highly the national media thought of his talent and potential impact on the ACC powerhouse. However, this ranking puts a lot of pressure on the 18-year-old. As for every super freshman, Bagley might have issues living up to the expectations. I actually expect disappointment early in the season since Bagley isn’t an ideal fit for the Blue Devils and Duke lacks spacing. This will likely extend the adaptation phase for this young baller who is an athlete first at this point in his career. 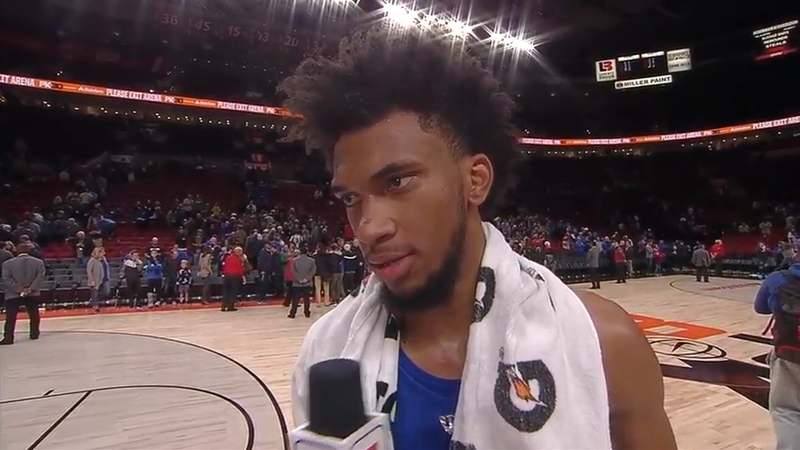 Bagley already looks like an NBA athlete. 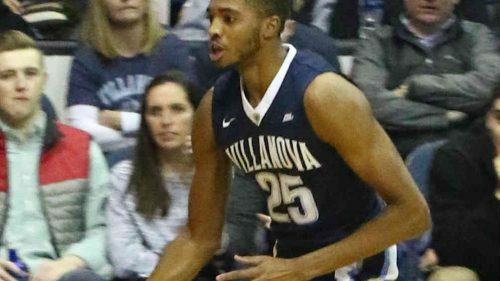 Being 6‘10‘‘ and having a wingspan of over 7‘0‘‘ gives him an excellent frame for someone who will play the four most of the time. Given his size, his movements are smooth and fairly coordinated. Bagley’s speed and explosiveness are quite impressive. His marquee skill might be his ability to get up for quick second or third efforts underneath the basket. Physically, Bagley only has one weak spot: The California native’s build is quite wiry and his shoulders are fairly narrow. This makes him look really thin. 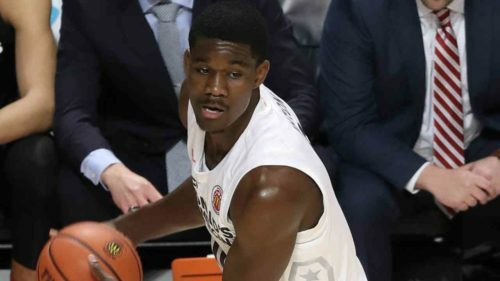 While he doesn’t have to become a jacked Karl Malone clone, he definitely needs to add some core strength to be more effective in many facets of the game. Thanks to his athleticism, Bagley is a superb rim runner. During fast break situations, he finds his lanes quickly and puts himself into situations where he becomes open for catching passes. This results in many easy buckets for him. He looks solid as a pick n’ roll partner even though his screens sometimes are weak. 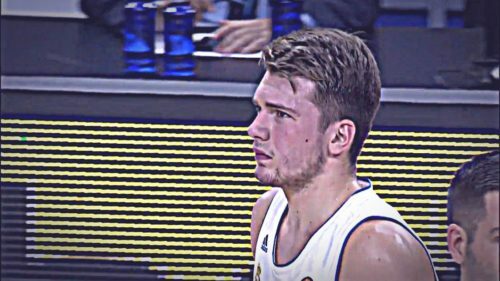 His above average timing and good hands make him a viable pass catching option here when he attacks the rim. Bagley also seems to enjoy face-up isolations. When his team clears one side of the court for him, he can beat most single defenders with his explosive first step. However, his spin move is his only option besides a simple straight line drive after beating his man. Bagley’s ball handling is only average. The young forward is more a player for a few quick dribbles than a skilled ballhandler or even an outstanding playmaker. I didn’t see an above average basketball IQ or advanced passing skills in the first games I watched of him. In the post, Bagley greatly benefits from his agility and has shown a solid touch around the basket with his strong left hand. However, positioning is an issue. Even in college, I wouldn’t expect him to create many back to the basket opportunities. As for many players, shooting will be the make or break skill for the freshman. His lack of muscle mass will force him outside where he will be expected to provide some kind of spacing. So far, Bagley has only hinted that his jumper has three point range and could be a reliable in the long run (29.0 3P%, 66.0 FT%). This point is particularly interesting since I expect him to play most of his minutes next to the other Blue Devil true bigmen Carter and Bolden. On the other side of the court, his mobility, lateral quickness and overall length can be praised. These attributes should give him all the tools he needs to become a decent pick and roll defender who won’t look lost if he gets switched out on the perimeter. In high school, he was mostly used as a rim protector mostly hanging out below the basket. He didn’t seem to have too much of an impact from this position. He got pushed around a fair amount, was slow as a helper and lacked balance when asked to stuff drives. His lack of physicality hampers him when it comes to rebounding as well. But let’s keep in mind that it is difficult evaluate high school defense, all-in-all. In many situations; Bagley simply didn’t seem focused enough which resulted in easy blowbys for his opponents. It will be interesting to see whether his defensive shortcomings are just caused by a lack of motivation or if his struggles continue at Duke, which would point to a lack of understanding defensive concepts despite having all the athletic possibilities in the world. After scouting the first few games, I fail to understand the extreme hype that Bagley seems to attract since starting high school. He of course is a monster athlete with limitless potential at this point. However, he doesn’t look like an upcoming superstar and surefire #1 pick candidate to me. He lacks too much in the skill department. To me, he looks more like a Marquese Chriss 2.0 than an Anthony Davis right now. USC offered a scholarship to his 7-year-old brother just to get him. Duke had to unretire #35 of Blue Devils legend Danny Ferry so Bagley could wear his preffered number on his back.